Custom House engaged Litcom to provide strategic IT advice and to conduct a review of the organization’s IT functions. Leveraging their deep technology experience and knowledge, Litcom reviewed specific aspects of the company’s current and future IT strategies, plans, resources, and performance targets. How the current and future strategic positioning of the IT function was going to help the company achieve its core business growth objective. Are current IT expenditure levels appropriate and what future funding levels should be anticipated over the next 5 years? Are the current IT strategies appropriate and how should they evolve over the next 5 years? Are the IT risks acceptable and manageable both now and over the next 5 years? 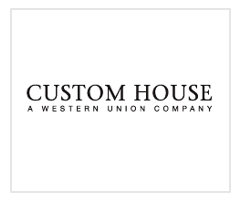 Custom House is the largest independent foreign exchange (FX) company in North America and one of the largest in the world. The Company’s award-winning on-line technology and international network of trading offices enables clients from individuals to Fortune 500 companies to easily and securely pay foreign invoices and exchange foreign receivables. Custom House handles more than US $15 billion in FX transactions annually for over 50,000 clients in Australia, Canada, Italy, New Zealand, Singapore, the United Kingdom and the United States. The company recently opened its 83rd international branch in Singapore. Custom House offers foreign exchange currency drafts, international wires, forward contracts, a rate watch service and market updates. Custom House is a winner of Canada’s 50 Best Managed Companies Award for 2000, 2001, 2002, 2003, 2004 and 2005.